Mandalay : On 21st August 2013 morning, some Buddhist nationalist distributed pamphlets which urge people to mark the National Religion Day and celebrate it nationwide. 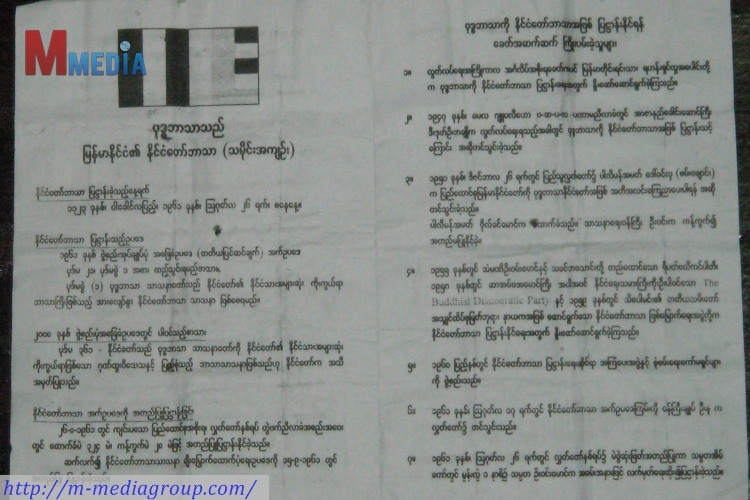 The pamphlets furthermore argue Buddhists in Myanmar to hold conferences across the country to commemorate 52th anniversary of declaring Buddhism as state religion by U Nu government. It also stated that by holding such conference, it will give awareness and encouragement to love, value and defense Burmese race and Buddhist religion, to follow and practice peaceful teachings of religion and do good deeds and to build up unity with love among Buddhists and to establish peace and harmony with other religions and respect each other. The nationalist Buddhist planned to hold 3 days conference for that purpose on 25th to 27th August. A resident of Mandalay who received pamphlet said, “I have seen they are distributing it across the town. But around where I live I saw about 10 people were trying to stop cars, buses, trucks and motorcycles and handing over these pamphlets. Some other from different townships were also carrying them.” He also mentioned that by doing so, it will be very good to see more and more people are preserving 5 precepts of Buddha teaching, giving donation to poor, setting animals free, chanting together Buddha’s prayers, giving a talk and hearing true peaceful teachings of Buddha. But he has other concern that these people might do the other way wrong violating true teaching of religion. He also give his view that there is ill-intention behind this movement since there were no such movement in the past and only now and then the nationalists are doing it while people are in worries as there were religious violence happened recently and some have been still instigating religious riots and hatred across the country. 52 years ago, prime minister U Nu and his government attempted to pass the State Religion Promotion Act of 1961 in Parliament and this act made Buddhism the official state religion of the country. Muslims and Christian leader then who protested that were arrested. 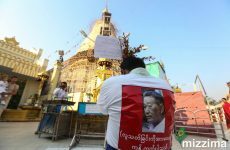 Now the nationalist Buddhists are trying to restore such policy which had once alienated largely Christian ethnic minorities such as the Kachins and the Karens. And that policy is also absolutely not acceptable as there might be some hidden ill-intention to create hostility towards other minority religions especially Islam. 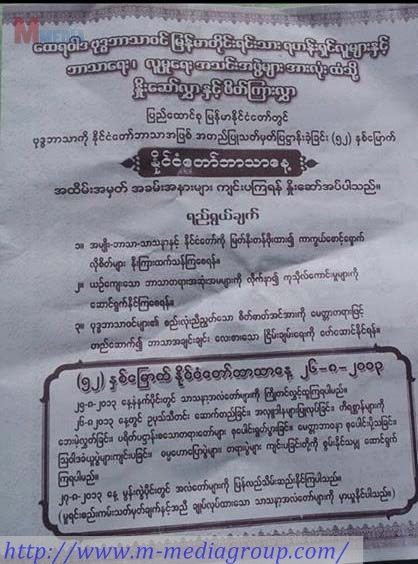 The movement to hold State Religion Day started on 24th May 2013 at Mya Nan Oo Buddhist temple, Pawn township, Motetama in Mawlamyine in Mon State. 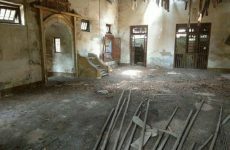 It is where the birth place of 969 movement which had caused violence and slaughtering Muslims in some part of the country.